Description: stunning gated south of the boulevard villa. 6 bedrooms, 5 1/2 baths, maid quarters in 6,917 sq.ft. resting on approx 1/3 of an acre of lush, private grounds with sparkling pool, spa, and bbq area. beautiful grand entrance with dramatic iron staircase, gourmet chef's kitchen, formal dining room, all in the finest finishes. huge master bedroom with in suite fireplace, sitting area, double master closets and master bath with separate tub and large shower. every upstairs room has it's own balcony. 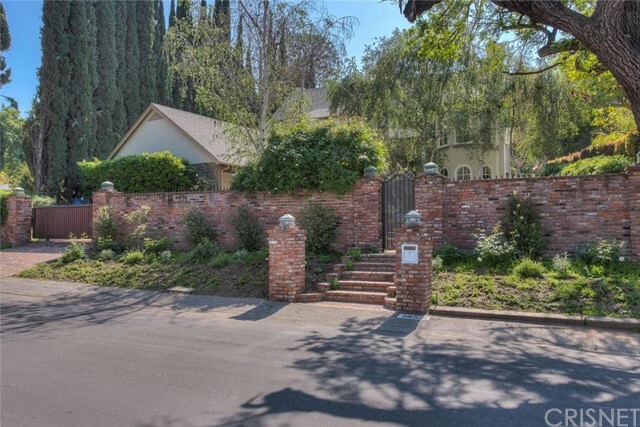 close proximity to all mulholland schools! Listed By: David Woodruff of Oak Summit Real Estate, Inc.